Hanna-Barbera's stone-age family appears on their very own 'Toon Tumbler with this fantastic image from The Flintstones! Yabba dabba doo! 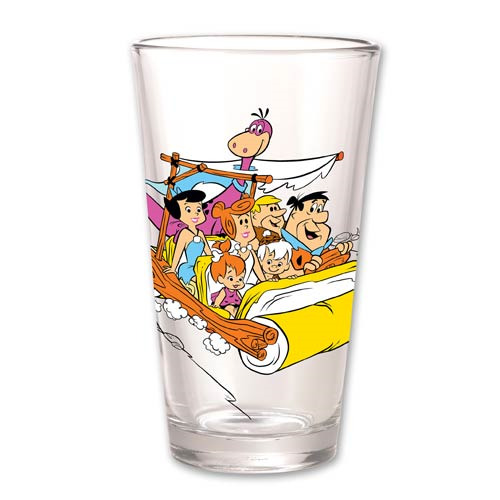 PopFun's expanding line of 'Toon Tumblers barware features large images, brilliant colors, and more of your favorite comic and cartoon characters than any other line of glassware. Measures about 5 3/4-inches tall. Hand wash only. Not dishwasher safe. Do not microwave. For ages 14 and up.